The Department of Arts Education (DAE) achieves its mission to provide high quality arts curriculum and services through arts, classroom instructional support, and the All-City Arts Program. Over 40 Greater Cleveland arts and cultural partners also help deliver arts instruction. 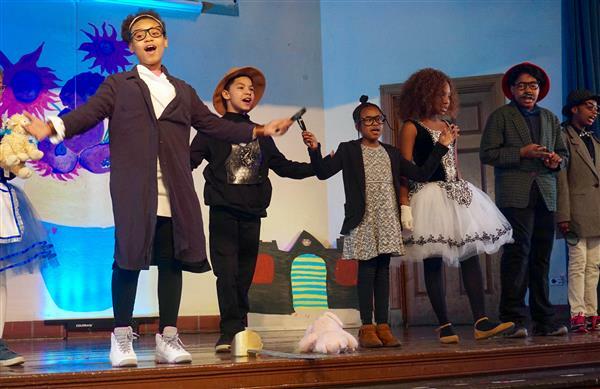 The DAE supports all CMSD students to receive a rich, experiential education in dance, drama/theater, music, and the visual arts as an ongoing part of a comprehensive PreK-12 curriculum. • Learning in the arts. Students learn through age appropriate, sequential instruction in the arts including, arts skills and techniques development, aesthetics, history of the chosen art form and performing or exhibiting artwork. • Learning through the arts or arts integration. This approach integrates arts instruction and attendance at events, performances, and exhibits with the study of core academic subjects. These two approaches enhance overall student engagement and learning in general and ensure rigorous training and preparation for those students who want to pursue post-secondary study in the arts. 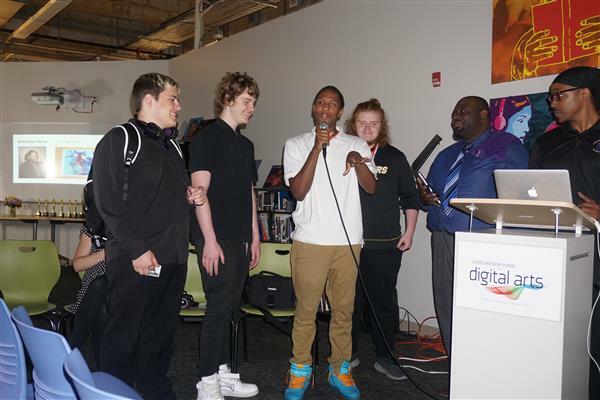 6/28/2018 -- Twice a year, students present their best work in video game design, audio production, film production and graphic design, along with projects from their core classes, during a schoolwide event. The school held a “Red Carpet Showcase” to highlight student work from the second half of the school year. 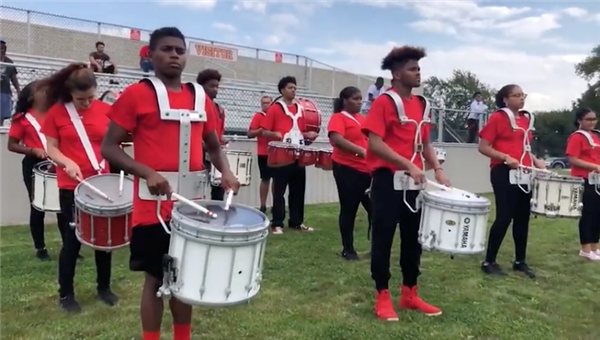 6/8/2018 -- Paul L. Dunbar School has improved education and culture using a strategy of arts enrichment. 5/8/2018 -- Jeffery Allen will facilitate plans to enhance arts education in every school in partnership with the local arts community. A Cleveland native with a theater background, Allen previously worked for the Maltz Museum of Jewish Heritage as the director of education and public programs. 3/14/2018 -- "Making Our Way" is a production that delves into the challenges the students faced and continue to face as newcomers. All-City Arts to present "Bring It On: The Musical"
2/27/2018 -- CMSD's All-City Arts program will present "Bring It On: The Musical" from April 27-29 at the Ohio Theatre on Playhouse Square. The 19th annual All-City Musical will feature the talents of nearly 50 students. All-City Arts Program Director Kimberly Sias will direct.